It’s summer all year round in a tropical country like Malaysia. We don’t experience drastic change in temperature where it can be as hot as 40 degrees in summer and plummets to sub zero degrees in winter. It’s no wonder that many Malaysians don’t notice a change in season. But as season that we do notice is the ‘durian season’! 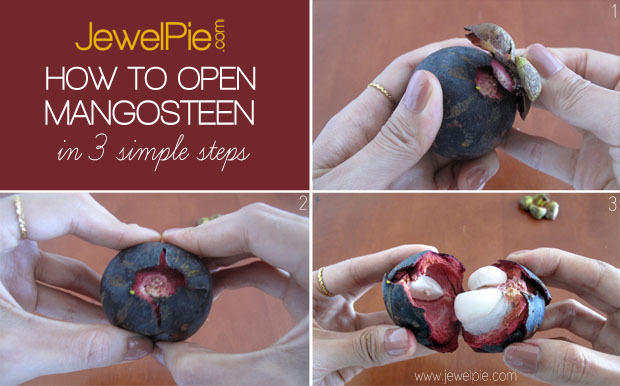 When you can find durian, there is also mangosteen. From June until August, these fruits will be aplenty in roadside stalls. Durian, the king of fruits, would normally get all the attention. But don’t forget to also get some mangosteen. 1. PULL Hold the stem and pull the entire stem out. If it’s ripe, the stem will come off easily. 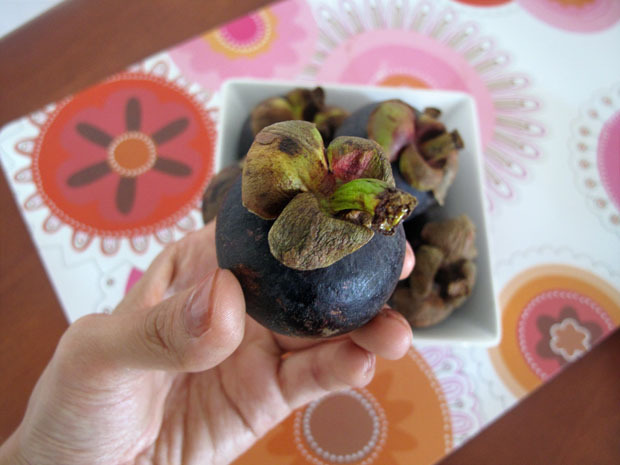 A word of warning, while mangosteen is pleasant to the mouth, it is unforgiving to clothing. 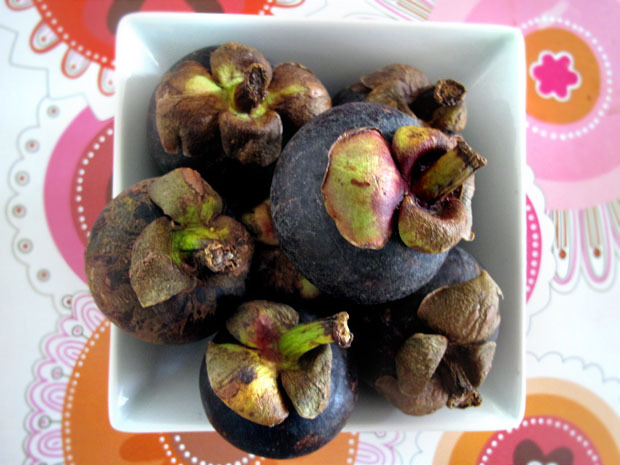 Do enjoy the food with utmost care and as stain from mangosteen is very difficult to remove.